For you history buffs out there, I thought I'd include some notes I used for the research I did when I wrote Midnight Savior – Book 5 of the Bonded By Blood Vampire Chronicles. Additionally, for those who don't know much about Jack the Ripper, I'll include a brief account of the Autumn of Terror and why this topic has been so fascinating to me through the years. WARNING: Some of the subject matter ahead borders on the gruesome to downright hideous. 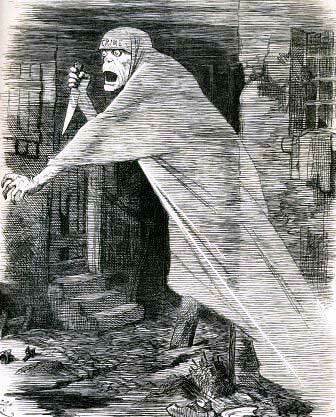 The Ripper murders were not pretty. The biggest draw for most people fascinated with Jack the Ripper – including myself – is the fact that over one-hundred years later, the case is still unsolved. Forensic evidence was just coming into use with police procedures and, if I did my research correctly, the Whitechapel murders were one of the first cases where photographs were taken of any evidence. 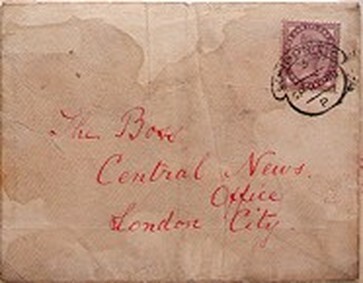 In short, during the autumn months of 1888, which became known as the Autumn of Terror, women who lived and/or worked in the Whitechapel area were being targeted by the killer who was dubbed Jack the Ripper by the papers (mostly because of the infamous “Dear Boss” letter that was mailed to the press). All the women had two main characteristics in common: they were heavy drinkers and they were known to sell their bodies as a supplemental income to keep a roof over their heads or put food in their bellies. At this time in history, and in this area of London known as the East End, this included a vast majority of the female population. Most anyone could have fallen prey to the Whitechapel Murderer. Alcohol was a common escape from the woes of poverty and eased the pain of their circumstances. People literally lived in stairwells or in crates in alleyways. Some people had enough money to rent a bed box for part of the day, which was frequenty shared with other tenants at other times of the day. Landlords took advantage of the space they had in ways that were not only unsanitary, but downright cruel. Christabelle Williams – aka Davina reincarnated and heroine of Book 5 – was indeed poor, but she was better off than most women in her class because she had a respectable job as a laundress. Hard labor, for sure, but she made enough money to rent a one-room flat with Darla, her best friend and companion. The proximity of her location and her connection to Broderick is what puts her in the path of Jack the Ripper. Though Belle is no stranger to drink, she is lucky enough to have a good-paying skill so she doesn't have to prostitute herself. I know the conditions of her accommodations and the state of her world were pretty bleak, so I know some of the story was a bit dark. But that served its purpose as well and gave Broderick that much more reason to want to get Belle out of there and into a better life. If you're already familiar with my series, you may have noticed I included dates throughout Midnight Savior, which I don't usually do in my novels. The main reason was for those Ripper aficionados who might be tracking along with how my fictional events blended with the real-world events. Most authors should use everything that is put into a story. Although I could very well have just set the story in 1888 London and had the Whitechapel murders overshadow the the setting, I wanted them to be a key part of the storyline. Not only did I want the story to fall apart if the historical events were removed, I wanted Jack the Ripper to be a real threat to my heroine and hero, Broderick. A mere mortal would be no match for my vampire hero, which is why I made Jack the Ripper a vampire. 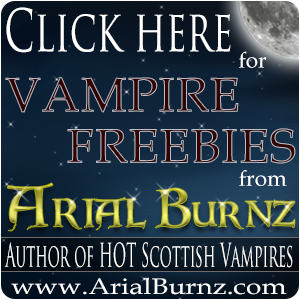 And not just any vampire – one of the Ancients! Yes, I know…I put poor Rick through hell…again. We already know Jack the Ripper was one of the main people in history I used in the story. But there were a few side characters who played roles with my fictional characters as part of the storyline. Thomas J. Bulling – Thousands of letters came into the police and the press of people either claiming to be the Whitechapel Fiend or knowing the identity of the killer, so there weren't too many correspondences that were taken seriously. However, the Dear Boss letter, which I feature in Midnight Savior, had a connection to the double murders of Elizabeth Stride and Catherine Eddowes, due to the reference of cutting a piece of the victim's ear and the two murders in one night. Later, however, evidence shows this letter could have actually been written by a journalist who was trying to stimulate paper sales (newspaper sales were suffering at the time). I, therefore, used this opportunity to rectify why a journalist would have key facts related to the double murders if his letters were hoaxes. In Chapter 5, 25 September, 1888, the Whitechapel Fiend forces Thomas to write the letter, and thereby keeps to the historical theory that Thomas J. Bulling of the Central News Agency did indeed write the letter, but under duress. 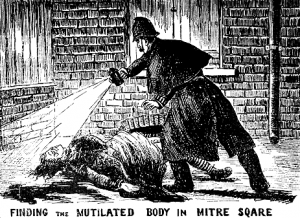 Catherine Eddowes – As I've already mentioned, she was one of the victims of Jack the Ripper. In Chapter 7, September 30, 1888 – Early Morning, I include a scene through her eyes as she is being murdered by the Whitechapel Fiend…and it was a very tough scene to write. Having to put myself in the mind of the victim and do the research to ensure how he killed her and all the grisly details ended up being a very disturbing experience. I, like many people who have “heard” about the Ripper murders, never really comprehend the reality of what this psychotic killer did. I won't post the pictures here. They're just too disturbing. but if you'd like to read the full account of her murder and see the post mortem photographs, CLICK HERE. In summary, her face was almost mutilated beyond recognition, her throat was cut through to her spine, and her abdomen was slashed open and stabbed multiple times, even organs removed. And this is being nice in my description. The only saving grace was she died almost instantly after her throat was cut and the mutilations to her face and body were done post mortem. Mary Jane Kelly – In Chapter 28, November 3, 1888, I introduce Mary Jane Kelly as a friend of Christabelle's. Of all the victims, Mary Jane Kelly was the youngest and out of pattern for the killer. No one really knows why, so I decided to give the killer motivation by creating this fictional connection to my heroine and hero. Mary Jane and Christabelle do a little catching up and Belle gives Mary Jane her new address – Broderick's townhouse in London – encouraging Mary Jane to contact her for a possible job opportunity and to help Mary Jane get out of the slums by means of honest work. That little slip of paper spells doom for both women. In Chapter 29, I have Laurent sitting at the Ten Bells Public House, where in real-life witness accounts place Mary Jane Kelly sharing a pint of beer with Elizabeth Foster. He overhears their conversation, which I invent and Mary Jane is telling Elizabeth that she ran into “Crystal Bells”, her nickname for our heroine, and how she is about to marry the wealthy Broderick MacDougal. That seals her fate and Belle's. Laurent stalks Mary Jane to get that coveted piece of paper with Broderick's address and poor Mary Jane becomes the last victim of the Jack the Ripper. This murder was the most brutal of them all. The killer had the victim in a secluded room – the woman's one-bedroom flat – for almost a half hour. The gruesome photos can be found HERE. I hope you have a strong stomach. Although I do play around with historical settings and take some artistic license, I do try my best to be as historically accurate as I can be, given the nature of the paranormal storylines. Research can be a little grueling and tedious, but in the end it lends a rich environment for my settings and characters. I hope you enjoyed some of the behind-the-scenes information connected to Midnight Savior! 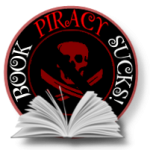 If you're reading this and you're not a member of my VIP Club, CLICK HERE to join now and get book-related freebies every week!